Nancy with Judy Palma and Paul Rostock! If you have not seen this Trio yet, come and check it out. We will be performing music from the Great American Songbook, Blues, and a splash of Contemporary. Reservations suggested. Always a treat to perform with Walt Bibinger. Join us in the Tap Room for a mix of Jazz standards, blues and our favorite classics. 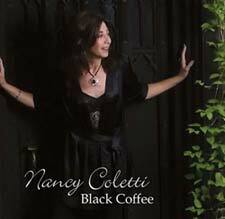 Jazz Vocal stylist Nancy Coletti will present her rich pure approach to music from the Great American Songbook and featured standards from her CD "Black Coffee", as well as her soulful interpretation of Pop and R&B classics. Nancy will be accompanied by guitar virtuoso Walt Bibinger, who style has been best described as rooted in the traditions of Tal Farlow, Jim Hall, Wes Montgomery, Johnny Smith and Joe Pass. Joining Nancy and Walt will be two of the greater Lehigh Valley's finest and most versatile musicians Brian Bortz on bass and Gary Rissmiller on drums making this musical line up one top notch quartet you don't want to miss. free parking, music, wine tasting, and a gift monogrammed wine glass. Sit back and enjoy music from the Great American Songbook, and classic pop standards. Come hear Cole Porter, Gershwin, Rodgers and Hart, Diana Krall arrangements of Burt Barachach classics and more. Join me in the Tap Room with Penns. finest jazz musicians! Sit back and enjoy music from the Great American Songbook, and classic standards. Come hear Cole Porter, Gershwin, Rodgers and Hart, Diana Krall arrangements of Burt Bacharach classics and more. If you have not seen this Trio yet, come and check it out. We will be performing music from the Great American Songbook, Blues, and Contemporary tunes. Reservations suggested. as well as Nancy's jazz treatment of Pop and R&B classics. Walt Bibinger on Guitar, Brian Bortz on Bass.